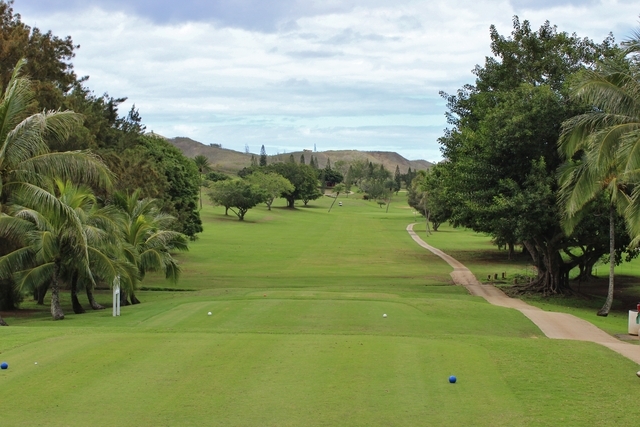 Olomana Golf Links features an interesting layout that consists of two distinctly different nines, but both are equally challenging. 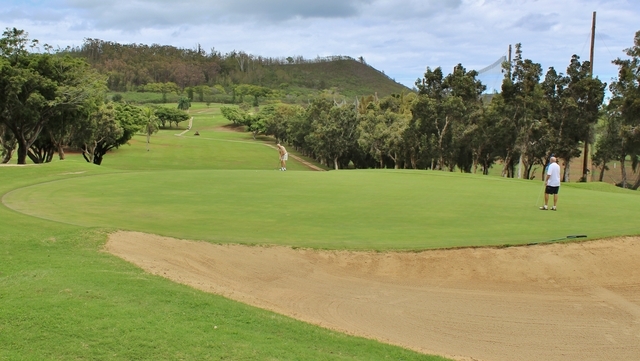 Although it is a relatively short golf course, the many formidable challenges will keep golfers on their toes. 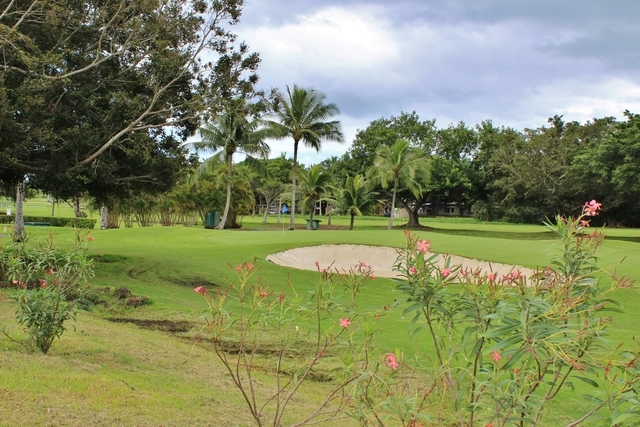 The front nine is relatively flat with water hazards on every hole, while the back nine has irregular, rolling hills that are dotted with strategically placed sand bunkers. 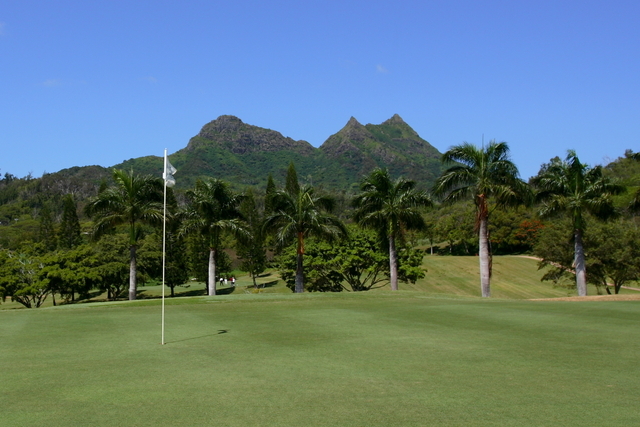 Prevailing trade winds are also always a factor on the golf course. 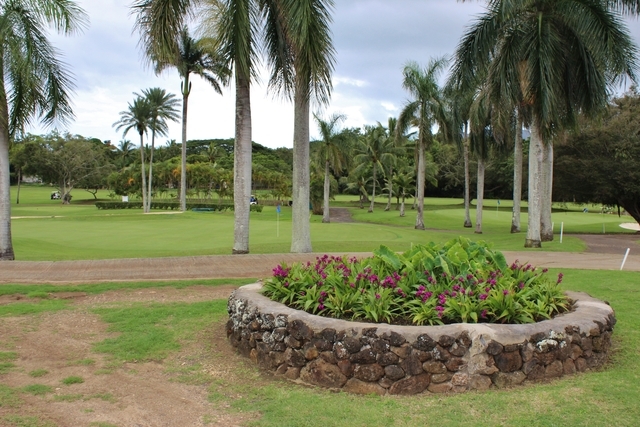 The signature hole is the par-3 eighth, which features a semi-island green that is well protected by sand bunkers and coconut trees. 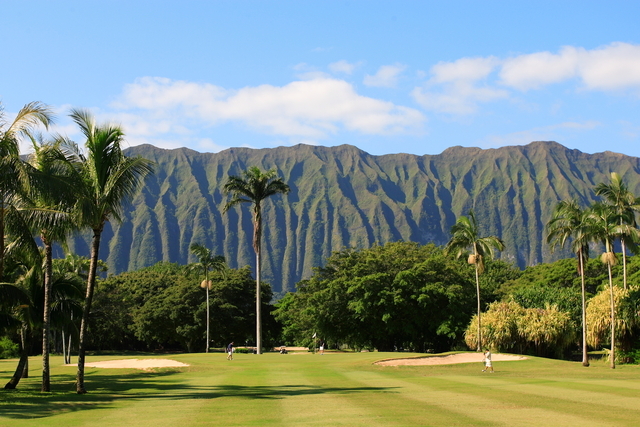 In addition to the interesting layout, Olomana Golf Links also offers scenic views of the Ko’olau Mountain Range. 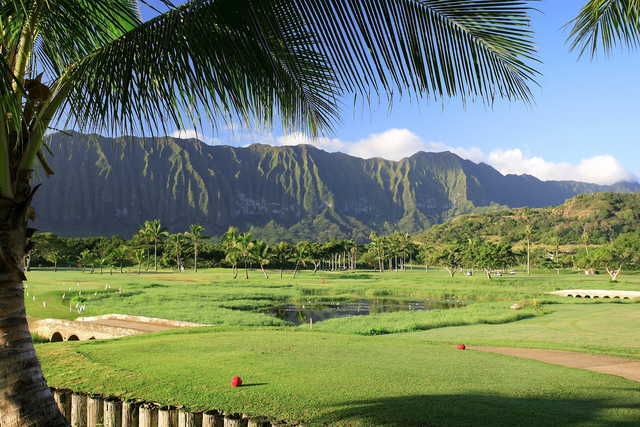 The course has become a favorite among Oahu locals. Frustrating that this course is under new management yet they let the bunkers all harden like concrete and they have been that way for many months. The greens are very good and the views are wonderful. Large pile of old sod left in fairway of par 5 number 15 has grown weeds 3 ft high above the pile, but no sign saying ground under repair. You hit a ball into it and it is lost, but is it a free drop? Fairways are poor and hardpan and cartpaths are crumbling with steep drop offs on either side that could cause a cart to tip over. with the highly rated junior golf program in place for many years under Casey Nakama, hard to believe the parents have not formed volunteer groups to help fix up the course. What is the long range plan? Do not take your time with this course. The playing area needs a total redo. The grass is thin and the ground rocky to hard pan. The traps were so hard I could not rake them. The club left scuff marks!!! Drainage is a major problem with each rain causing flooding. The "ponds" are muck holes and smell horrible. 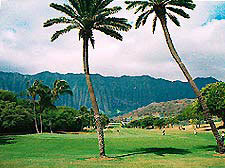 The modified nine holes could be nice but major money needs to be tossed into the course for enjoyment. The age of the buildings is showing and no way is it a resort style golf. A bad Muni at the best. Just played it Sept 2015. Almost pulled off after nine holes. The club management and Pacific Links should have been honest in the course condition. I can not express my disappointment in this course loudly enough. No decent places to dine for miles. Course is in total disarray. Ground under repair or reconstruction every where. Definitely not worth the $95 on line fee. Starter hoped the course would be back to normal by the end of the year.